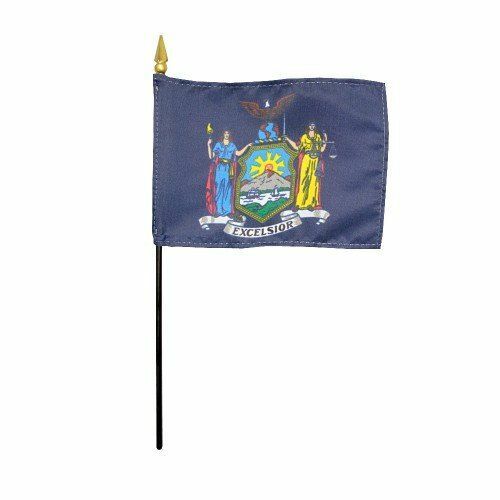 AmericanFlags.com is proud to carry New York State Flags in a variety of materials, and styles, in sizes ranging from 4 IN X 6 IN to 12 FT X 18 FT. All of our New York flags meet official specifications, are on sale right now and are ready for immediate shipping to your door. 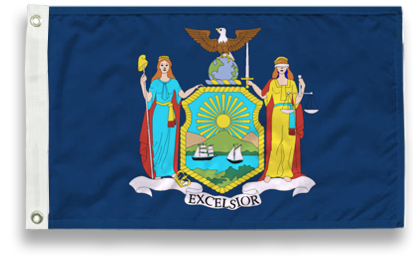 With a deep blue background and an image of the state's Coat of Arms, the official flag of the state of New York was adopted in 1901. 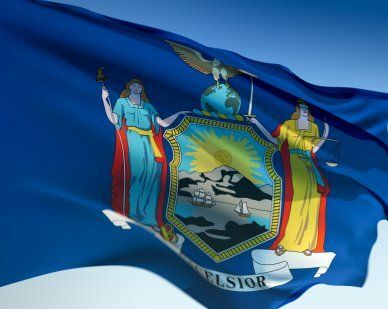 A shield picturing the Hudson River is centered on the flag, flanked by figures of two women, "Justice," and, "Liberty." 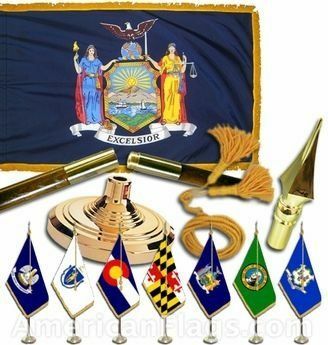 Justice appears blindfolded and carries a sword in one hand and a scale in the other which represents the impartiality and fairness of justice required to carry out punishment and reward. Liberty holds a pole with a liberty cap and features a crown at her feet symbolizing liberty from the British. The two boats that are pictured sailing toward each other on the Hudson River represent commerce. 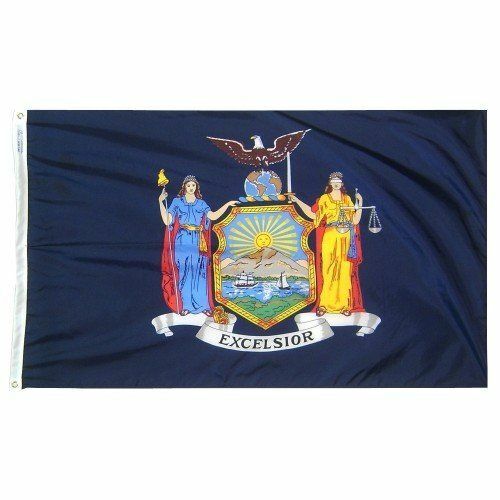 The state's motto, "Excelsior," which means, "Ever Upward," is also inscribed on the New York State flag.